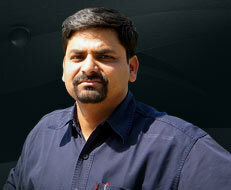 Mr. Nilambar Rath is a known name in Odisha journalism. 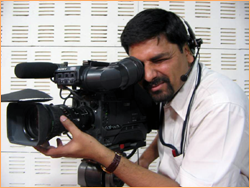 He has got rich and varied experience in the field of print, audio-visual and web media covering the key areas like newsgathering, writing, copy editing, camera production, television news and programme anchoring and media business management. Over the years, Mr. Rath has developed a deep passion towards teaching, especially in the field of mass communication and journalism. He is been engaged in teaching, training and academic writings over a few years. He visits universities and leading mass communication institutions across the state and outside and teach on different subjects of media with a focus on television newsgathering and production, digital content creation and media management. 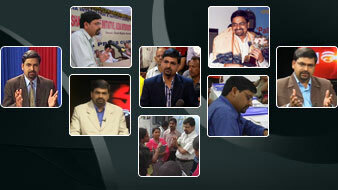 During his professional career at different vernacular and national level media organizations, over the past one decade, Mr. Nilambar has been involved in conceptualizing and leading training and mentoring programmes for young and middle level journalists, news managers, TV producers, camerapersons and broadcast technicians etc. As the Mentor and CEO of 'Academy for Media Learning', Mr. Rath leads the academic and all other professional training and career programmes, research and production activities designed and run by the team. Mr. Rath edits the innovative web resources, www.medialearning.in, of the company which aims to create relevant resources on media education and training including developing ample reference and research materials for media students and professionals. The portal also aims to play the role of a bridge and help to connect 'classroom with the newsroom' and vice versa. 'Academy For Media Learning' also creates relevant and interesting audio-visual content for television and web media and show case some selective output at popular YouTube Partner Channel www.youtube.com/odishalive. Mr. Nilambar is actively associated with the world of on-line journalism in Odisha and plays the role of 'Editorial Advisor' to leading news portal odisha360.com. The portal deals with news, news analysis, features, investigative reports, social networking and a lot of relevant information and web services on Odisha. As the Founder and CEO at 'Academy for MediaLearning', Mr. Rath focuses on quality deliveries on media education, training, research, production and consulting services with a focus on Broadcast and Web Media. Mr. Rath is a creative writer. He writes poetry and non-fiction. 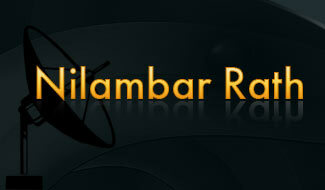 Mr. Nilambar, was born in 1968, in a village called Nimani, a part of Nayagarh district, Odisha. He currently lives at Bhubaneswar, popularly called as Temple City of Odisha. Mr. Rath holds a Masters degree in Mass Communication and Journalism. Worked as the 'General Manager- News' at 'Kanak TV', the television channel run by Eastern Media Ltd. (a leading media house from Odisha). Contributed to ETV Network as a regular news and current affairs anchor. Was also anchoring a popular show, called 'Kanak Kacheri', during his tenure at 'Kanak TV'. Got the exposure to TV programming and anchoring, at 'Doordarshan', by 1992-93, and later engaged in reporting for 'Aajira Odisha' (the first news magazine in regional television) from the then Madras city. Prior to the exposure to television, contributed to Radio programming (at All India Radio, Cuttack) through talks and panel moderating. Prior to joining ETV Network, Mr. Rath worked with 'Sambad' (leading Odia daily from the house of Eastern Media) for over 5 years (till 2001 August). Worked in both field and desk covering areas like news, features and weekly news magazine. Worked with 'Anupam Bharat' (Odia daily), with various responsibilities, and had got the opportunity to be a part of its launching team. Worked with Chandamama Publications, Madras, as the Asst. Editor of 'Sachitra Vijaya' (the family magazine that created a wave in terms of content and design in Odia language publication). Over last 20 years, contributed serious articles, news features and creative pieces to many leading newspapers and magazines in Odia and English language. Articles also published in other professional journals. Involved in serious academic and professional activities on web media. Contributing articles to web portals like www.thehoot.org, odisha360.com, www.newsu.org etc. Editing the web initiative, on media education, titled medialearning.in. Involved with the process of newsgathering, editing and strategic planning and content management at leading news portal odisha360.com as the 'Editorial Advisor'. Training across the Board: As the Team Leader of 'ETV Odia News', planned and handled series of training programmes and workshops for the staff members during 2002 to 2009. It includes programmes for trainee journalists, camerapersons, senior reporters, bulletin producers etc. Also planned and conducted many training and orientation programmes for the staff members during the tenure at other TV media companies, namely 'Kanak TV', 'Naxatra News' etc. Network Training: As one of the leaders of ETV Network Core Team, planned and lead many training and orientation programmes for the staff members across the network of 12 channels. Programmes for the Seniors: Participated in conceptualizing the orientation programmes for senior members at ETV Network. Also performed as a lead trainer for such induction/orientation classes for staffs at the level of News Editors, News Producers, Bureau Chiefs, Operations Managers and Marketing Managers etc. Election Special Programme: Designed and handled special orientation programmes, on election coverage, for Desk and Field staffs, during 2004 and 2009 general elections. Also lead such programmes during the assembly polls like 2004 and 2009 (Odisha), 2005 (Bihar and Jharkhand), 2006 (West Bengal) and 2007 (Uttarakhand) etc. National and International Seminars: Attended some national and international media seminars including CNN-ABU media programme at Hong Kong. 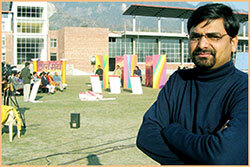 Involved in media teaching since 2004. Visiting universities and leading media schools to teach mass communication at graduation and post-graduation levels. Subjects covered: Reporting and Editing (Print Media); TV Reporting, Writing and Production; Cyber Journalism, Media Management etc. Visiting IIMC, Dhenkanal, since 2004, as a Guest Faculty, and teaches on TV Journalism and Production to students of English and Odia Journalism. Also invited over there to deliver classes and practical demonstration during communication training programmes for Govt. and Corporate officials. Taking regular classes of post-graduate students at Department of Development Journalism and Electronic Communication (DJEC), Utkal University. Handling subjects like Editing (Print Media); TV Reporting, Writing and Production, Cyber Journalism and Media Management etc. Taking regular classes at BJB Autonomous College, Bhubaneswar, for their Post-Graduate students of Dept. Of Journalism and Mass Communication. Teaching subjects like Television Reporting, Writing and Production; Print Media Editing (Practical) etc. Invited to KIIT University, Bhubaneswar, as Guest Faculty, to teach media (as a part of Bachelor's of Film Studies under KIIT School of Films and Media Studies). Also a member of Board of Studies of the said School. Visiting other leading universities and communication schools and institutions including Central University of Odisha, Berhampur University, Odisha School of Media and Culture, Sambad School of Media and Culture, Prasar Bharati Staff Training Institute etc. to take classes for postgraduate level students and professionals. Eenadu Journalism School: Invited as a Guest Faculty to Eenadu Journalism School, the in-house training school of Eenadu and ETV Network, during the tenure at ETV. Copyright © 2012 nilambarrath.com. All rights reserved.